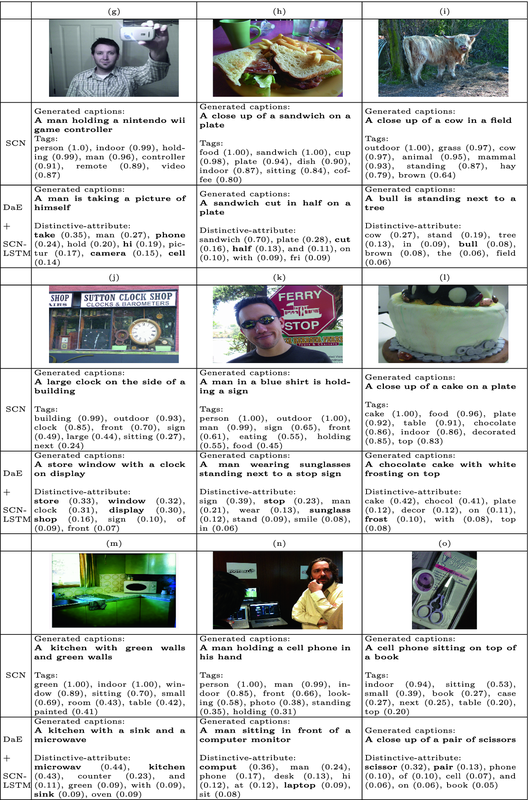 Image captioning has evolved with the progress of deep neural networks. However, generating qualitatively detailed and distinctive captions is still an open issue. 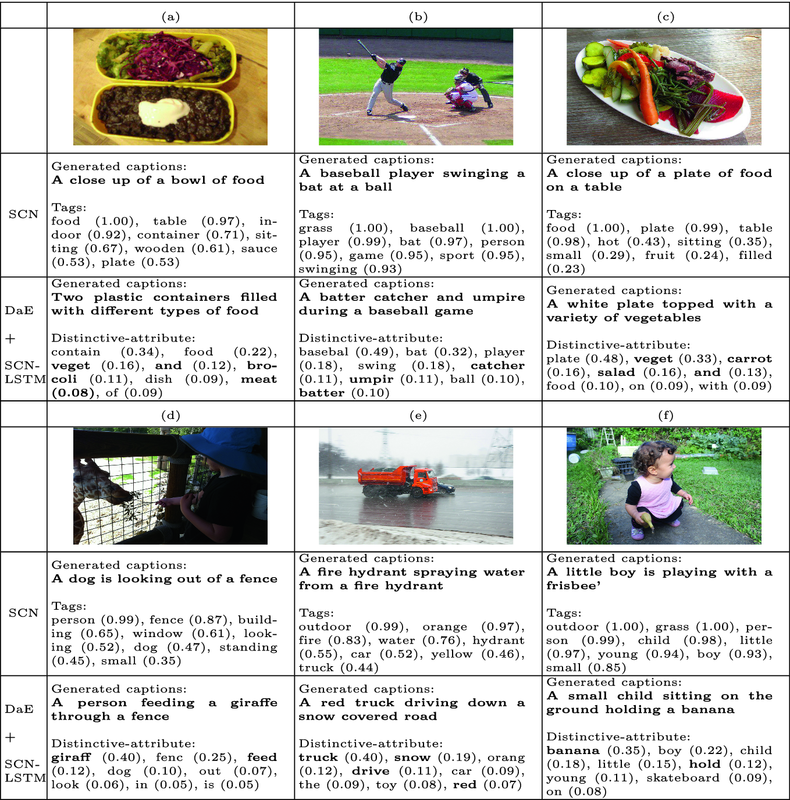 In previous works, a caption involving semantic description can be generated by applying additional information into the RNNs. In this approach, we propose a distinctive-attribute extraction (DaE) method that extracts attributes which explicitly encourage RNNs to generate an accurate caption. We evaluate the proposed method with a challenge data and verify that this method improves the performance, describing images in more detail. The method can be plugged into various models to improve their performance. This work was supported by IITP/MSIT [2017-0-00255, Autonomous digital companion framework and application].